“In order to be commercially successful it is essential to facilitate the introduction of innovative biobased products on the market. This means ensuring the implementation of the Priority Recommendations from the Lead Market Initiative, to boost the uptake of innovative biobased products on the European market. A good example from the US, in this respect, is the Biopreferred programme, which was established to ensure that US policy is aiding sustainable biobased industries to have a competitive edge through public procurement initiatives. Additionally, we need to foster investments through combined financing”. 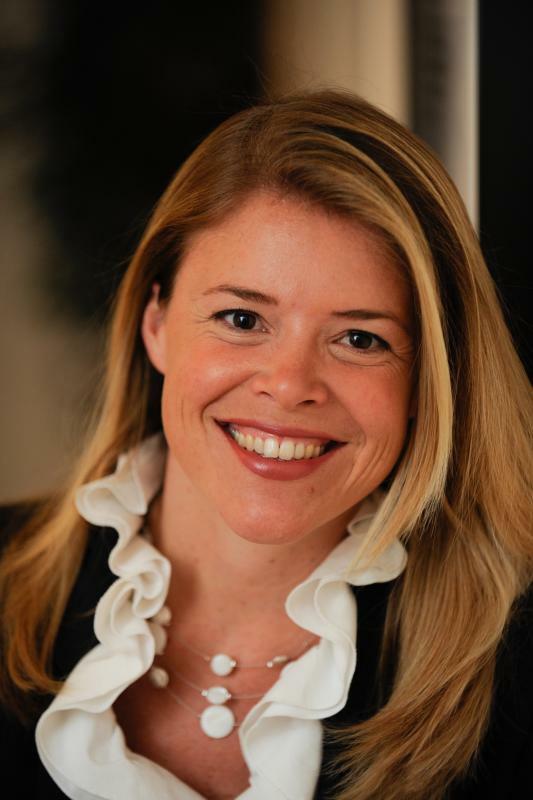 To say this – in this exclusive interview with Il Bioeconomista – is Nathalie Moll, Secretary General of EuropaBio, the European Association for Bioindustries. With Moll we discuss about bioeconomy in Europe and the next edition of EFIB, the European Forum for Industrial Biotechnology and Bio-based economy, which will take place in Reims (France) from 30 September to 2 October. “This years’s EFIB – says Moll – will provide the forum for dynamic discussion around the year’s biggest and best joint ventures, with high profile consumer brands. 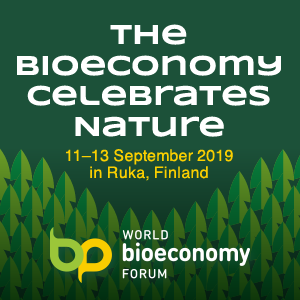 It will also provide a snapshot of how policy is being put into practice through the most significant developments in scale up of commercial biorefineries around the world”. What are the most important innovations of this edition of EFIB compared to the previous ones? This year’s EFIB will provide the forum for dynamic discussion around the year’s biggest and best joint ventures, with high profile consumer brands. It will also provide a snapshot of how policy is being put into practice through the most significant developments in scale up of commercial biorefineries around the world. 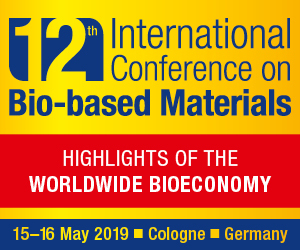 We will have a special focus on feedstocks, looking at the impact of the shale gas revolution on biobased chemistry as well as looking into the opportunities and challenges of constructing sustainable EU biobased supply chains. 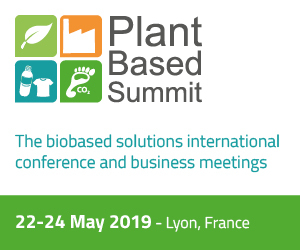 In addition, we will be taking an in depth look at the options open to innovative biobased industries for accessing combined financing in the EU, tapping into the drive to provide sustainable economic growth across the member states. As usual, we are also delighted to showcase the latest in cutting edge technology that this sector has to offer, through our four dedicated innovation tracks, including biomaterials from insects, cyanobacteria fragrance and flavour production, and innovative enzyme formulations. Additionally, we are pleased to host an interactive workshop on chemical building blocks, contributing to the work of our FP7 project BIO-TIC, which focuses on overcoming barriers to innovation in industrial biotechnology. This year we expect 800 stakeholders to attend EFIB. This includes almost 100 speakers and panellists involved in the plenary sessions, conference tracks, pre-conference workshops and the exhibition theatre, where 50 companies will showcase their innovative products and services. Each year we attract increasing numbers of senior business leaders covering the entire value chain including primary producers, technology providers, the chemicals industry as well as end-users and consumer brands. In addition, we continue to see growing interest from policy makers from both the European Commission and member states. We also strive to include academics, students and representatives from civil society, such as NGOs, together with mainstream and business press. EU policies in the field of bioeconomy are often criticized by the industry, which criticizes Brussels because of lack of coherence and regulatory stability. What is your point of view? Our aim at EuropaBio is not only to maintain a cutting edge Industrial Biotech sector in Europe but to grow it by attracting more investment, jobs and growth here. The challenge is that, due to more predictable and favourable frameworks and business conditions elsewhere, we continue to see a migration of some of our best assets towards the US, Brazil, China, Canada, India and South East Asia. Building Industrial Biotech capacity and bringing ‘home grown’ biobased products to market in the EU requires longterm investment and that means establishing a more predictable, holistic and supportive political environment. As far as you’re concerned, what are the first three measures that the new EU Commission must introduce to promote the development of the bioeconomy in the European Union? In order to be commercially successful it is essential to facilitate the introduction of innovative biobased products on the market. This means ensuring the implementation of the Priority Recommendations from the Lead Market Initiative, to boost the uptake of innovative biobased products on the European market. A good example from the US, in this respect, is the Biopreferred programme, which was established to ensure that US policy is aiding sustainable biobased industries to have a competitive edge through public procurement initiatives. Additionally, we need to foster investments through combined financing. This will mean facilitation of combined financing mechanisms through simplification of rules and alignment of the basic funding principles of European and national support programmes (including H2020, CAP, Regional development, ESIF, EIB funding and National programmes). Reforming of State Aid Rules to enable national support for flagship biorefineries, which require investment of between €150 and €250 million, is also essential. Facilitating access to sustainable feedstocks remains a concern and more needs to be done by putting in place measures to enable access to sustainably sourced and competitively priced renewable feedstocks for biobased industries. Finally, communicating the benefits of industrial biotech and biobased products is something we continue to work on and which will again be the focus of our European Biotech Week which takes place just after EFIB from 6-10 October. This week, we will see more than 100 events take place right across Europe, demonstrating the real life benefits that biotech brings to society. What are the recent major industry advances in the bioeconomy? From 2014-2020 almost €3.7 billion will be invested in innovation, enabled through industrial biotech, through a new Public Private Partnership on Biobased Industries. The partnership, or Joint Technology Initiative (JTI) brings together around 70 companies from primary producers to consumer product manufacturers to reduce Europe’s dependence on fossil-based products and to help the EU meet climate change targets, resulting in more sustainable economic growth. The Joint undertaking will be formally launched this month representing a milestone for industrial biotechnology in the effort to bridge the EU innovation ‘valley of death’ between excellence in science and technology and successful commercialisation of biobased products. Two years ago EFIB took place in Duesseldorf, last year in Brussels, this year in Reims. When in Southern Europe? Do you already know the location of EFIB 2015? We would love to take EFIB to a sunnier climate and there are certainly many compelling reasons for doing so. There are incredibly exciting developments taking place in Italy but also in Spain and Portugal. All I can say for now is watch this space!